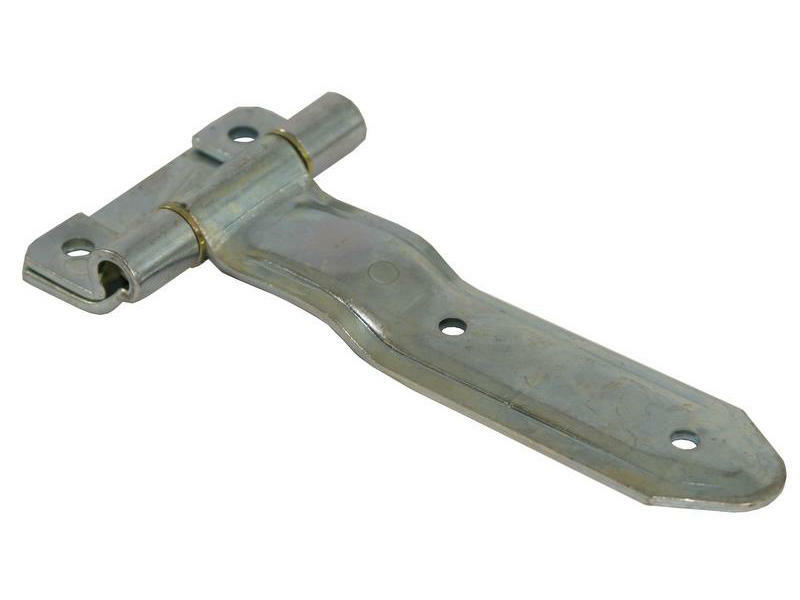 This 8" steel door hinge features a narrow bracket and is designed to bridge the door molding or door seal. It also features a narrow bracket for mounting where space is limited. 1/2" diameter steel pin is non-removable. Bracket is 8 gauge steel, 4-1/2" x 1-5/8" from center of pin. Strap is 8 gauge steel, 2" x 8".